Here’s your weekly update on what’s been shifting around in price in the world of paper Magic: The Gathering this week. Overall, with the release of Khans of Tarkir still echoing through a refreshed and dynamic standard metgame, most of the movers and shakers are found in that format. I would love to claim I saw this one coming based on my 50+ copies, but in reality I only snagged them as a bulk rare with clear combo potential in early summer without any clue they would be playable in the scariest combo deck of the season (Jeskai Ascendancy). The Jeskai combo deck plays this card as a zero casting cost artifact with the slight potential upside of being a mana rock if necessary (it never is). It’s worth noting that the card can easily be swapped out for Briber’s Purse in standard, which should limit it’s short-term price below $3 unless it makes a showing in an eternal format in some random combo deck at a top table. Put simply it is the emergence of the U/B Control builds at the Pro Tour that is driving the resurgence in this card. As a sweeper that can clear the board of everything but lands, the card gives control builds game against both creatures and planeswalkers out of the mid-range deck as well as stray enchantments and artifacts out of Jeskai Ascendancy. Expect the future of this card to depend on how many control decks keep making top tables over the next few months. A faster field will put it to sleep and leave it as a spec to look at next summer for future EDH and casual interest. 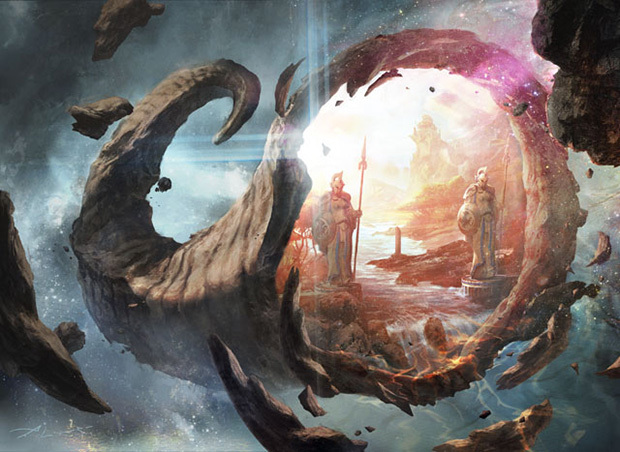 As with Perilous Vault, Pearl Lake Ancient is under the spotlight as a somewhat reluctant finisher in various Jeskai and Dimir control builds for standard. The combination of Prowess, Flash and some resiliency to 1-for-1 removal makes PLA a reasonable top end for decks that can survive to that point. I have been a seller at the new price, having bought in to 20+ copies around $1.50, mostly because I think the card is merely good rather than great, and could easily fade from memory if the format shifts. It has no future in other formats and I wouldn’t want to be caught holding a bunch beyond the peak. On the other hand, if it posts a prominent finish at GP Los Angels this weekend, it does have upside potential similar to Wingmate Roc given it’s mythic rarity. Keep an eye on our wrap up coverage of the major tournaments Sunday night for clues. Initially speculators held off this card on the assumption that it would follow a similarly unexciting trajectory to Fleecemane Lion, another solid beater from a fall set that peaked over $10 in Nov ’13 only to fall to the $2 range later that season. Ironically the Deathdealer made a strong debut at PTKTK alongside the lion with both cards offering major coordinated offensive power in Mike Sigrist’s aggro Abzan build. Despite the flexibility of the Abzan deck builds, I’m a seller of this card in the $5-6 range as we still have a ton more Khans product to be opened and the card isn’t likely to cross the border into older formats. If I had to pick a card to be the Snapcaster Mage of Khans of Tarkir, this would be it. Initially overshadowed by the more hyped Treasure Cruise, it was soon revealed that Draw7/Pick2 is actually more powerful than Draw3, especially in control/combo decks that need specific answers or combo pieces to close out games. It’s so powerful, it’s popping up in pretty much any Standard or Modern deck that can cast it and wants the effect, and that’s a lot of them. As a rare in a heavily opened set it will have trouble holding a price point above $10-12 this season, but it deserves the better than average price curve and will be a definite spec once it floats lower on available copy volume heading into spring and summer. As an eternal and EDH gem, I’m holding multiple copies, English foils, Japanese foils, and multiple foreign copies. It’s a card worth trading into and acquiring wherever you find it. The only real question is whether the new delve cards will be too powerful in modern and lead to fresh bannings but we’ve got time to see how that plays out this winter. Here is your leading candidate for the best creature in Standard and a virtual swiss-army knife in the current format. It’s an efficient beater, blocker and de facto counter spell against burn spells. It helped multiple Abzan builds dominate the Top 8 of PTKTK, it reverses starts against Aggro and Tempo that look unwinnable, it tramples over green ramp creatures, and it’s up 40%+ this week as Abzan takes the early mantle as the deck to beat. As a KTK rare it’s current level leaves little room for growth, so I’m a seller, looking to cash out from $4 pre-orders and reinvest for further profit potential elsewhere. This is a card to watch. There is a strong legacy of green cards that leverage early ramp into massive creatures on board, and it’s easier than ever right now to push an early 4 power creature into 2 behemoths given the plethora of ramp creatures and mid-range power creep. The growth this week was based on some Green Devotion play at the Pro Tour leading into Hornet Queen, but with a strong possibility of Eldrazi and/or massive Dragons showing up in Standard later this year, there is definitely runway left for this undervalued mythic. I’m a buyer under $6. With Abzan (WGB) decks dominating the top 8 at Pro Tour Khans of Tarkir last weekend, Wingmate Roc has had plenty of camera time lately. The card has more than proven itself as a solid role player in any mid-range deck that can afford the mana cost of 3WW. In a standard format where folks are generally trading 1-for-1 against removal, adding two solid threats to the board for the cost of one can be big game against an exhausted hand. The card’s price is definitely vulnerable to metagame shifts, and it has no future in older formats, but it’s also seeing play in Jeskai Control and Mardu builds so it should be able to hold $15+ for most of the season. Easily found for as little as $2 just 6 weeks ago, Glittering Wish was always a strong card waiting for the right deck. As a Future Sight era rare it is basically a Super Mythic, and the 1000% increase isn’t that surprising given the trajectory of other rares from that set in recent years once they found a home. Driving the trend is the pivotal nature of Glittering Wish in the modern version of the Jeskai Ascendancy combo deck where it serves as an extra 3-4 copies by fetching the central combo piece from the sideboard as necessary. So long as it’s Ascendancy rather than Wish that gets banned this winter (a result most consider likely), there is more room for upside here, so long as another deck finds a use for it. Even still, I’ve been a happy seller at this price point, because the upside from here is unlikely to outpace other options. At a time when many Modern cards are floating lower, the utility of Blood Moon in shutting down the increasingly complicated mana-bases in Modern and Legacy is still gaining traction. The card hasn’t been printed for a while and the recent boost is attributable at least partially to the increased prominence of Burn and U/R aggro strategies in older formats made possible by the emergence of Monestary Swiftspear. This is a card that’s fine to hold if you’re looking to play it and easy to sell if you see a chance to reinvest elesewhere. The Estimated Value of a box of Khans of Tarkir is still too high at present, and with such a highly opened set, something has to give. Prime candidates will continue to include powerful but under-performing cards like Savage Knuckleblade that aren’t showing up at enough top tables to hold their value. Pending a strong finish of note, this card is headed to $1-2. Despite showing up as a four-of in the Jeskai Ascendancy standard deck, the Mystic is largely unrepresented compared to stronger rares found on the upswing this week from Khans of Tarkir. As such, expect it to settle in around $4 and look to snap copies up quickly if it posts a strong finish, since a metagame shift could easily see this come back up in the $6-10 range. The power isn’t in dispute, but it’s unclear whether Empty the Pits can find a home in a powerful graveyard centered deck in Standard that can put up great results. Even when it shows up, it’s often just a 1-2 of. As a long-term pickup this card has strong potential as a mythic in the $5 range that could easily hit $15-20 in a few years. Sidisi, Brood Tyrant, Surrak Dragonclaw and Butcher of the Horde are all down 15%+ this week because they aren’t showing up in top table decks yet. All three can easily reverse course on better news. Keep an eye out for bargains, especially on the mythics. Fetches have been a “sell” since the pre-release and will continue to be until they fall under $10-12 broadly as befits their status as fall set rare dual lands that are only seeing limited play in standard. Look to buy a ton of these next summer during fal set discount season. I recommend selling boxes of Modern Masters which can be unloaded in the $360-400 range right now. Unknowns around the potential release of Modern Masters 2 as a global release make possible reprints from the 1st set a distinct possibility I don’t want to hang around to see proved wrong. The profits are solid for a 16 month hold, so I’m all out, saving only one box for way down the road. ADVERTISEMENT: Grimoire Beta Edition – A stylish storage for your cards. Everything in magic is about favor and style. Your deck is cool, your mat is sweet, so should your cards. Check out our awesome deck storage – The Grimoire Beta Edition. M15 drafting has officially come to an end. More packs will be opened of course but it will be a trickle compared to the past few months. Why open a core set when there are wedges and fetchlands to release into the wild? Battlefield Forge will be used in decks that want consistent mana early on and do not intend the game to continue for long. Mardu will want to use it in aggressive decks. Jeskai will want it for the combo deck featuring Jeskai Ascendency that everyone is trying to make happen. I am kicking myself for not picking up a few play sets at $2 each but such is the life of a Magic financier. Modern Boros Burn and Jeskai Twin decks have also used a couple copies to supplement their mana base so demand will never go to absolute zero. This will keep the lands in demand but with so many printings it can only get to about $7 or so. This means you can hold onto copies you already own and wait for the price to creep up but there is not enough room to really advise trading for Forges. Slower decks in Standard will want to forego the pain and can make use of the scry lands. Temple of Malice is better served for Mardu midrange or Grixis control strategies. I have even seen some deck brewers tinker with Temple of Malice in Jund aggro and Burn strategies. Temple of Malice comes from the much maligned Born of the Gods so there are very few of them compared to the Theros temples. This does not convince me that Malice is going to go much higher than $7. I still feel the smart money would be going for the Journey into Nyx temples. Temple of Epiphany would be for Jeskai Midrange or Control. Temple of Malady is perfect for a grindy Abzan deck. Purphoros is primed to make an impact in Standard. We now have Raise the Alarm, Triplicate Spirits, Hordeling Outburst and the potentially terrifying Empty the Pits. He also pairs up brutally well with Bloodsoaked Champion. He already seems some play in variations on Boros Burn, Gruul Chord and Red Devotion decks. Modern has seen him shoe horned into Soul Sisters and abusing Norin the Wary. Some Birthing Pod lists include him in the seventy five. He is not only a legendary creature but a god and that is going to go a long way towards making him a staple of kitchen tables for a long time to come. I really do not see any downside to hoarding some copies and potentially some good upside. Mikokoro is a legendary land that is used sparsely. It is sometimes seen in Modern Hatebear, TurboFog and Enduring Ideal decks. It is best utilized in decks that create situations where the extra cards cannot be used effectively. It allows you to pile on the card advantage when paired with Spirit of the Labyrinth and activated on your opponent’s turn after their draw step. It is yet another group hug card for every Nekusar, the Mindrazer deck. The decks that run copies only need one or two copies. They are fairly fringe decks with the exception of HateBears but it has not really been making waves lately. This is going to continue to grow slowly but steadily but I do not see a reason to rush on getting copies. Kiora wants to help midrange and control decks accelerate or buy enough turns to establish the battlefield. It can be used in a wide variety of decks. 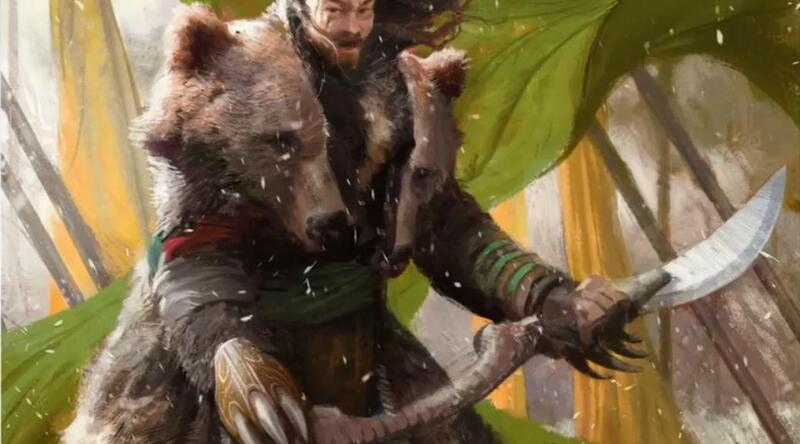 Temur Chord and Monsters decks are the most likely. Sultai Mindrange and Control decks could used her in generating additional card advantage. It will require a skilled pilot but will be a powerful strategy. Kiora has even seen very limited eternal play. 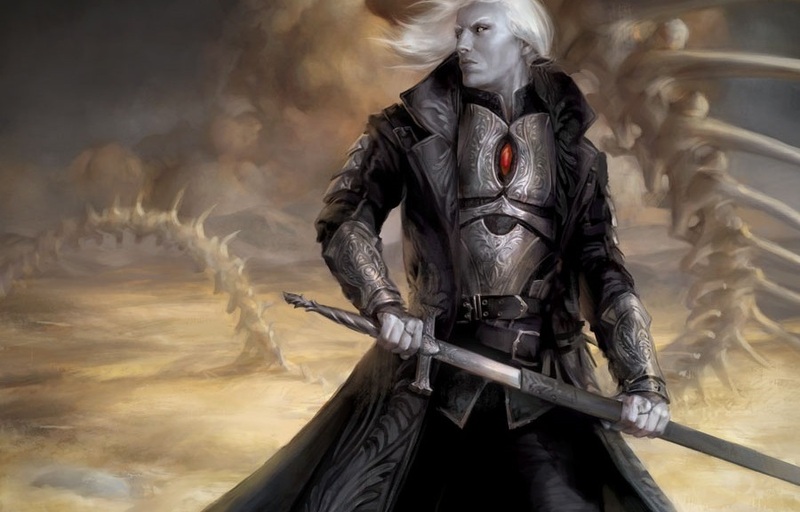 Restore Balance in Modern and Punshing Sultai in Legacy have both played with it. Foils have recently jumped from $36.36 to $47.79 over the past few weeks. She does not have the power level of Xenagos, the Reveler so I do not see why she has the same price tag. Her supply is significantly lower but the decks that do want her are content with only one or two copies. I would trade her away into the hype. Ashiok had been a $7 card in the not too distant past. It can be a powerful finisher in decks that are grinding out victory with card advantage. Ashiok will be used in Sultai and Grixis versions of Midrange and Control decks. Its second ability will be well served by efficient wedge creatures whose power is much more efficient due to strenuous mana costs. Ashiok just sees a free Mantis Rider for three loyalty counters. Ashiok has been a $20 card before. I think a few tournament results and some price memory will be able to push it back into that range. I would trade for them given the opportunity. This is especially true if people still think of it as a $7 to $8 card. Soldier of the Pantheon will be playing dual roles for the coming year. As a 2/1 for one mana with quasi-evasion it is as aggressive a threat as you can possibly ask. The same protection combined with the life gain clause will allow midrange decks to hold off much larger threats once it becomes outclassed. How many one mana creatures can endlessly hold back Savage Knuckleblade or Surrak Dragonclaw? The focus on wedges will give Soldier of the Pantheon another chance to shine. This will help it get past $4 soon. Soldier of the Pantheon was a rare in a heavily drafted large set and was included in an Event Deck. This will probably keep it from hitting $5. Time your outs and trade them high. Hopefully you picked them up as toss ins when they were below $2. Can you believe these were under $2 only two months ago? Eidolon of the Great Revel really put burn on the map. Shocklands and fetchlands are as cheap as they re ever going to be. This has allowed more players to transition from Standard to Modern. New players in a format tend to gravitate towards budget decks and known archetypes while they get used to everything. Burn decks are both. They are also a gateway deck from Modern into Legacy. Both versions of the deck rely on a lot of the same staples. This has been pushing up the value of cards for the deck. You can still grab Fire and Lighting copies for the same price. Modern and Legacy players love foils so I would get those instead. I would also keep my eyes open for foil copies of Skullcrack. It is only $5 and plays a similar role to Flames at one mana cheaper. Prices are down due to Standard players offloading them for rotation. Players have been trying to make The Rack work in Modern for a while. Liliana’s Caress was more efficient than Megrim but The Rack is often a Lava Spike with rebound that you only have to pay for once. Return to Ravnica gave us Shrieking Affliction. Foils of it can still be found for $2 and you should jump on those. Waste Not from M15 may have finally given us the critical mass of cheap effects that bump discard from a rogue deck to fringe play. Who does not want free zombies, cards and mana for playing Raven’s Crime over and over? The rack was $4 only a month ago. The only foil version of the card is from Time Spiral. I see it on eBay for $8 and I see vendors offering $10 for it. There is something there. Grab these. You will be glad you did. I would also play both sides and grab some cheap Obstinate Baloths. We all know that pre-release prices are guaranteed to be inflated. This is especially the case with planeswalkers since retailers do not want to be sitting on the next Jace, the Mind Sculptor. It is normal for Planeswalkers to pre-order high and to sink back down to reality as they are introduced to the rigors of actual play. It is unusual for one to jump up like Sorin does. He can be a slower Talrand’s Invocation which is great in limited but not really that exciting in constructed play. His +1 makes racing impossible and makes token decks happy. He provides a free Cruel Feeding for your entire team. He is going to be seeing some experimentation in Mardu Tokens and Orzhov Midrange. He seems custom made to team up with Brimaz. He is already $30 so how much higher do I think he can get? The answer is still the same as any other Planeswalker at release. Trade him away as soon as your draft is over. There is a 90% chance you will thank me for that later. Courser is still a fantastic creature. He will be played in every single deck with access to green mana and he just makes fetchlands seem unfair. He is going to be in Abzan Control, Sultai Midrange, Jund and Naya Monsters not no mention RG Chord and probably more. He is even showing up in Modern Jund, Birthing Pod and GB Rock decks. The problem is that he is in the Clash Pack. Courser cannot maintain a $20 price tag when you can go online and order a Clash Pack for $22 that gives you a Courser along with a lot of other good cards like Nykthos and Prophet of Kruphix. I doubt he will go down much further because he does provide incredible value but his ceiling does not provide much room to grow. He is a fatnastic place to store value and will be very liquid if you are looking for something to trade for. Tidespout Tyrant was one of the top targets in Legacy Reanimtor and Food Chain decks. Unfortunately those decks only need a single copy each and neither have really been doing very well in the metagame. It is still a bomb in Commander but with so little play and so much competition at the top from Griselbrand and Emrakul I think Tidespout has had its day. I would trade these away. Despite being one of the most printed rares in the history of Magic I still feel Birds are underpriced. They are a staple in Modern Melira Pod and any green decks that want a variety of colors right off the bat. Its role has become diminished since the widespread adoption of Noble Hierarch but it is still one of the best one mana creatures ever printed. It is a tremendous way to start enable Jeskai Ascendancy Storm to win on turn two. It is a staple in Commander, Cubes and casual decks the world over. Foils can command a premium. Did you know that the 7th Edition Foil buylists for $85? You can still buy some cheap regular copies as low as $3.51. I would stock up. I think M16 will feature Birds of Paradise and really help the wedges shine. Even if that is not the case the day will come when it will be back in standard and prices will jump to $10 for a copy. In the mean time you can always move them to your casual friends. Blood Moon is a powerful sideboard card that punishes greedy manabases and shuts down powerful lands like Gavony Township and Tectonic Edge. The printing of more fetchlands in Modern makes it slightly worse but it will still hold a place in powerful decks. Modern uses it in Affinity, UR Delver, Twin, Red Deck Wins and Pyromancer decks. Legacy uses it in Jeskai Miracles, Sneak and Show, Imperial Painter and it plays a crucial role in Goblin Stompy. Copies from The Dark can be had on ebay for as little as $20. This is a steal considering some vendors are currently listing them for as much as $45. There used to be two ways to get foil Brainstorms and both had the same artwork. Conspiracy came around and introduced a fresh new supply for a fraction of the cost of the older and scarcer copies. Brainstom is still one of the best draw spells ever printed and is a frequent addition in decks that run blue. Legacy uses it in OmniTell, Sultai Delver, UW Miracles, ANT and more. The recent SCG Legacy Open in Atlanta on 9/14/2014 featured twenty four copies in the Top 8. It is only a common but it is a staple that will be played until it is banned. Legacy players will need four copies and will want foils for their decks. I think the Mercadian Masques foil will maintain much of its value for being an old frame foil of a set that was opened in such small numbers compared to the sets today. FNM copies lost their luster as the Modern frame version. Conspiracy provides a ready and cheaper supply. I think it is instructive to see that earlier this year FNM foils were only $20. I do not think it is going back that low but you should get out before we find out how low it will go.